Profit bookings, coupled with caution over the upcoming quarterly results, subdued investor sentiment and led a barometer index of Indian equities to trade 230 points down during the mid-afternoon trade session on Thursday. Furthermore, the Indian equity markets, which had rallied for the past six consecutive sessions till Wednesday, receded on the back of uncertainty over the upcoming Bank of England's rate hike decision expected later in the day. On Thursday, the wider 50-scrip Nifty of the National Stock Exchange (NSE) was trading in the red. It was down by 62 points or 0.76 percent at 8,115.55 points. The barometer 30-scrip sensitive index (S&P Sensex) of the Bombay Stock Exchange (BSE) which opened at 27,116.86 points, was trading at 26,805.92 points (1.00 p.m.) - 229.93 points or 0.85 percent down from its previous close at 27,035.85 points. The Sensex has so far touched a high of 27,120.11 points and a low of 26,796.34 points in the intra-day trade. Analysts said that the markets fell on the back of profit bookings after six consecutive days of rise and were subdued due to investors' anxiety before the release of second quarter results. "Profit bookings was witnessed after the six session long rally. Investors were also cautious over the upcoming earnings season - this impacted the markets' sentiment," Anand James, co-head, technical research desk with Geojit BNP Paribas Financial Services, told IANS. 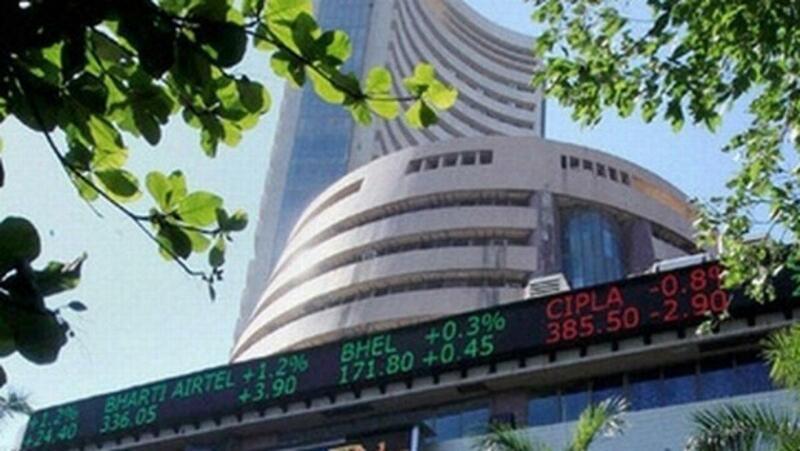 On Wednesday, the barometer S&P BSE Sensex had risen by 103 points or 0.38 percent. Wednesday was also the sixth consecutive session of gains for the barometer index. In total, the index has gained 1,418.97 points since September 29, when the Reserve Bank of India (RBI) announced cuts in key lending rates by 50 basis points.